I’m not a musician but I’m a dedicated music fan. It has been important to me all my life, and it’s something I spend a lot of time, energy and money on.I started buying records (aka “vinyl”) when I was 13. I spent the next 15-20 years buying music regularly, stopping only when “real life” expenses caught up with me! I don’t consider myself a collector because I never tried to buy everything by an artist, find rare pressings, and so on. On the other hand, I wasn’t so casual as to listen to the radio and think, “I bet that would be a good album.” Even then, I did research! I would buy magazines to read about musicians and when they were in the recording studio and when their next release was coming out. 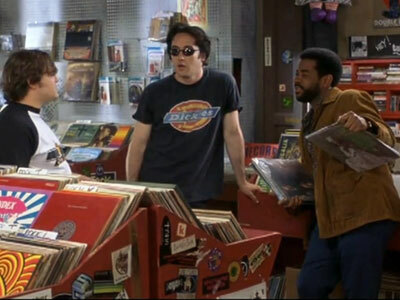 I’d also browse through record stores weekly, and make the rounds of used and specialty stores. When I was 15, I started going to concerts and being more influenced to buy stuff by bands I’d seen. I might sound like a kid with rather sophisticated tastes. Quite the contrary, my early purchases were ABBA, the Bee Gees, and all the teen pop idols! My aunt was a great influence. At her place I started to listen to rock records like Wings and Rod Stewart. Yes, they were rock artists back then, LOL! My transition to rock fandom was complete by age 15. I started listening to bands like Heart, Foreigner, Styx, Queen, Aerosmith and (soon) Van Halen. From that point on I never lacked boyfriends! I would spend hours listening to music at home, sometimes with headphones and sometimes not, depending on what music I was trying to hide from my parents’ scrutiny. I would do my homework while reading the lyrics and I knew every song on every album. I find it impossible to listen to music like that any more. My head is just filled with other things. I can still sing along to every song I heard when I was 15, but I couldn’t even tell you the names of the songs on the albums I buy now. I love it when I go to a concert and the 15 or 20 year olds in the audience sing along to every song. It tells me there is still time in their lives to listen to music the way I used to. My tastes later ran the usual gamut from punk to new romantic and new wave to post punk; and then more hard rock and (eek) hair metal. 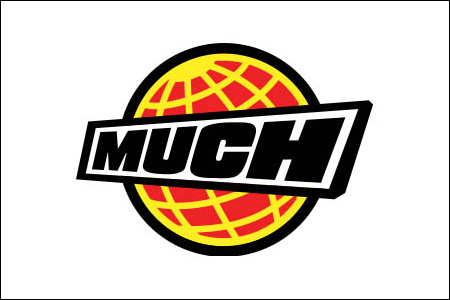 During that time I spent about 10 years watching music videos on MuchMusic. It’s funny to think they used to play music videos. Now it’s all reality TV shows! I continued to follow music when I finished university and started work, but I cut down my spending on it. The big divide was definitely when Link was born. I didn’t want to fill my days with children’s music, but I didn’t want Link to listen to Nirvana and Pearl Jam as a baby, either! There is a gap of 4-5 years when I didn’t keep up much on what was new. Then I made a dramatic return to my musical self. I decided I needed music everywhere I went. I splurged on all the latest technology – a CD player for my car and a boom box in the kitchen as well as the “home stereo.” I started buying CDs regularly and reading music magazines again. I couldn’t get out to many concerts, but there were a few. And that brings me all the way up to 2007 when I was writing a music blog and researching new music daily. Since then I have developed my own little music discovery “practice.” It’s really a set of habits that have become ingrained and that bring me much joy! I currently listen mostly to indie rock and indie pop. About twice a week, I check all my favourite web sites such as Pitchfork, Stereogum and Chromewaves. I read album reviews, listen to new release songs, and watch videos. Usually I am blown away by something or other and I make a list of albums to buy. When I am out and about, I browse music magazines, but I rarely buy them any more because I already know the news from online. I do still enter stores that sell CDs. My city has only one left, HMV. But there are 4 used CD stores – I am not sure how they manage to stay open, but it’s partly to sell new vinyl records which cost $30! Rom has an Internet radio subscription and I use it to test out new albums. However, I’m enough of a collector that if I love an album, I want to buy a copy. I’m afraid it will eventually be taken down from the streaming service (or they will go out of business) and then I won’t hear it ever again! Sometimes we get sentimental and spend a few hours listening to Planet Rock, a UK classic rock station. As you may have gathered, Rom prefers metal so I listen when he plays it. I prefer the old metal bands like Iron Maiden and Metallica, and not the extreme metal bands like Cattle Decapitation and Gorgoroth; I wonder why? I do like live shows, though. Another part of my routine is to check concert listings every week, both in our local weekly events paper, and online. I still miss announcements once in a while, and find I have to be very diligent if I expect to get tickets! I don’t listen to the radio to hear new music. We do have a modern rock radio station locally, but whenever I am in the car, they are always playing something like a “morning show” without much music in it. When I work out in the mornings, I listen to pre-made playlists on music apps like Songza and Slacker. I alternate among punk, garage, indie and electronic! I discover lots of new bands through their choices. My eye is always drawn to the iTunes gift cards in check-out lines! All told, I spend about $50/month on albums. I either buy iTunes cards (I try to get $50 cards when they’re on sale for $40) or I spend at local shops. Plus, Rom and I have a separate entertainment budget to pay for concerts, which averages another $50/month. So music is a big part of our lives…and our budget! Worth every cent, too. How do you listen to music? Do you buy any? I stopped by your blog; you are a serious music fan, too! I have some tolerance for mainstream music but I am guilty of music snobbery 😉 I learned a lot about tolerance from listening to Link’s music. If I ever said I didn’t like something, Link would be crestfallen because Link really valued my opinion. I learned that it is more important to share enthusiasm about music, than to criticize the content! I listen to radio when my son’s in the car. 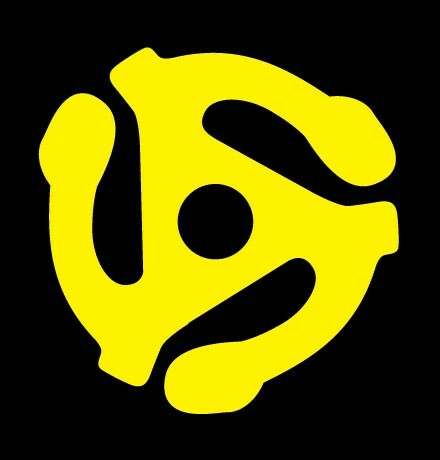 Then on the way to work I usually listen to albums saved on the phone, which is tuned through the car radio with one of those adapter-thingies (lol – no idea what they’re called!) We don’t have much of a budget for music at the moment, we probably spend $50 every six months or so…it’s torturous trying to narrow down what to buy! I used to have one of those adapter-thingies (an FM transmitter) before I got a car stereo with a jack. Do you really listen to whole albums? Because I think most people just listen to individual songs they like. Even I find it hard to narrow down what to buy! I do often listen to whole albums in the car, for things I know back-to-front. Last week was a lot of Elvis Costello! Other than the occasional concert, I don’t spend money on music. Music was more important when i spent long days studying, where I did illegally download. Nowadays the alternative radio station triple j is sufficient. It’s broadened my tastes beyond mainstream pop, and they do a great current affairs show at 5.30 pm that I try to plan my exercise and cooking around. The radio is always on in the car and when I’m at home (unless the tv’s on). It’s also how I grew up – seems genetically none of us like silence! I’ll often drop by my parents and no one is home but the radio is on! Isn’t it amazing that there is a loose international tribe of music lovers who can, through the medium of the blogsphere, share their passion. Love it! Thank you, VC! So true. Well, I fear I’m WAAAAAY off in the woods when it comes to my musical taste. I’ve always been a fan of acoustic music and singer songwriters. When I was younger that meant that I loved artists like Crosby, Stills & Nash, Paul Simon, John Denver, James Taylor, Joni Mitchell etc. Then when I started working for the folk/roots non-profit where the music school was (we also had one of the best known venues for acoustic music in the country – all 80 seats of it!) Anyhow, at that point I got even further off into the woods with artists like Chuck Pyle, Tish Hinojosa, John Gorka, Pat Donohue and other modern singer songwriters. I also have a soft spot for jazz ballads, so I’m a big fan of Billi Holiday, Louis Armstrong and others of that era. But I tend to get obsessed with a particular artist and then go memorize everything they ever recorded. I mean that not just to sing along, but I’d generally work a good number of them up on the guitar and work them into my sets back when I was still performing. Lately music has taken a bit of a backseat for me. I still love it, but it takes a LOT of time and energy to practice & rehearse every day, and I guess I’ve just gotten to the point in my life where being on stage doesn’t quite hold the same thrill for me as it used to. I still play & listen to music, but honestly, it’s so ingrained in my consciousness that I don’t really have to put on a CD or anything to hear it – I just turn it on in my head! So these days, much of my music “listening” happens in my head while I’m out on my bike or gardening or doing other stuff – although so many of my friends are musicians that I usually go out to hear somebody play at least once a month or so. Ah, you have a truly musical mind! Not being a performer, I can’t go as deeply into it. But, it is more than background noise, too. I guess I’m middle-of-the-road! Well, it has a flipside too. CatMan and I went for a 40 mile bike ride today, and for some inexplicable reason “Islands in the Stream” by Dolly Parton and Kenny Rogers was stuck in my head….over and over and OVER for 40 miles! The only respite was when a little bunny rabbit darted across the path and my brain wandered off for a few verses of “Little Bunny Foo Foo.” Oh my! I think that’s why I listen to so much new music. I don’t want to be one of those people who spends their life listening to “Don’t Stop Believin”! I love music too. I can’t play an instrument to save my life, but I can listen to anything (40s classics, 50s rock, gospel, and yes, even hair metal!). The kids found it particularly hilarious when I would sing along to rap music in the 90s. Im not a fan of electronic dance music or punk rock but nearly everything else will get me to sing along. I like just about everything too, but my real allegiance is to rock music in all its forms!